Apple has introduced the Apple Passbook service in its iOS 6 in the year 2012. Now the latest version of the Apple Passbook service has available on the Microsoft Windows Phone 8.1 ecosystem. It is a freshly wallet app for the Windows Phone 8 users. The Apple Passbook service is very much famous in between iOS users now this app is available for the Windows phone platform. The Apple’s Passbook app has aggregated data such as movie and sports tickets, flight tickets, loyalty and payment cards, coupons, and other passes from various iPhone or iPod compatible apps and display them in one single screen. This Passbook app also has an ability to scan QR codes. Now all these features are available for the Windows Phone 8 OS users. 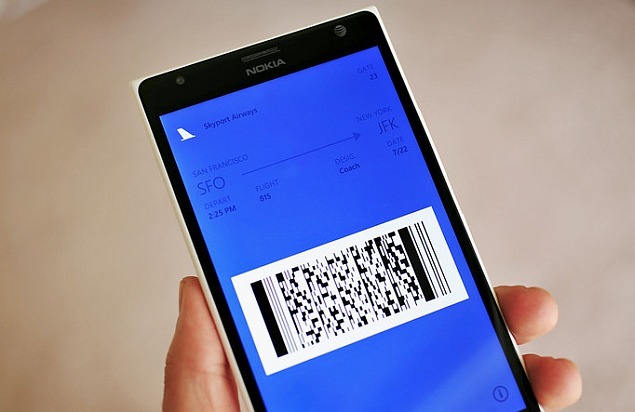 The Windows Phone 8.1 OS users can import their Passbook files into their Microsoft Wallet app. The Wall app of the Windows Phone 8.1 OS has support the maximum features, but some of the features are missing such as- Push-notifications to update Passbook cards, gate numbers on boarding passes, or remaining balance information, are not supported. But there is question has raised that there is no deal has done by these two tech rivals. But the Microsoft wallet, supports the Apple Passbook feature how. According to some rumors the Apple has launched a fitness app in its upcoming iOS 8 which is very much similar to the Apple Passbook service and this fitness app has also supported the cloud storage.